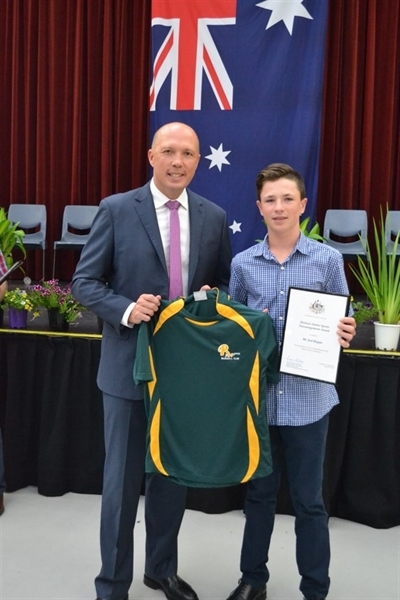 We would like to congratulate our very own local junior player, Joel Hogan, on receiving an Australia Day award from Federal Minster Peter Dutton at the recent Pine Rivers Australia Day Ceremony. 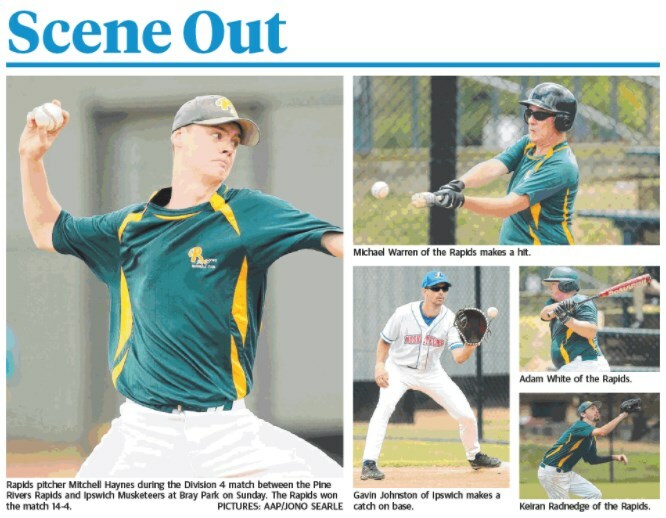 Joel was presented with The Dickson Junior Sports Encouragement Award in recognition of his outstanding sporting achievements in baseball. Joel has been an active member of our club since the age of 5, and in 2017 was selected to play in State, National and International competitions while proudly representing Rapids. Congratulations Joel, We are all very proud of your efforts. 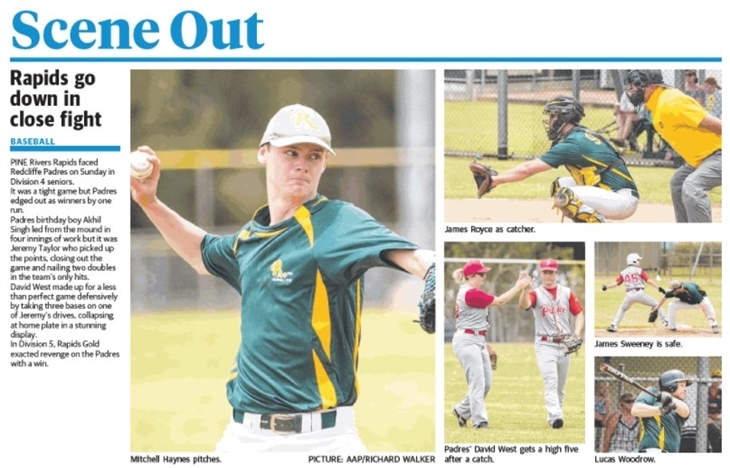 Congratulations to Joel Hogan in his selection represent Australia at the Cal Ripken World Series for 2017. 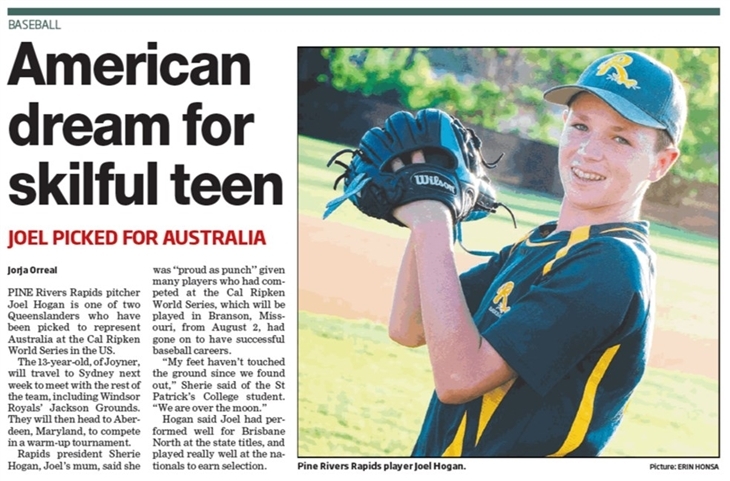 Joel will be travelling with his mum, Sherie, as they depart out of Sydney on 26th July to Aberdeen, Maryland where he will compete with the Australian team in a tournament in Aberdeen as part of your preparation for the Cal Ripken World Series. The Cal Ripken World Series is scheduled to start on the 2nd August in Branson, Missouri and goes through until the 13th of August. Be sure to Like our Facebook page for updates on Joel and the Australian Team.